The objective of the Sania Nishtar Fund is to actively seek such patients and to protect them from foregoing care, becoming indebted or being pushed into the medical poverty trap. 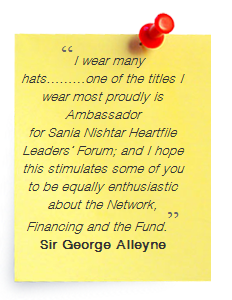 There are millions like her!A number of leaders have come together in support of the Fund under the banner of the HEARTFILE LEADERS’ NETWORK. Members of the Leaders’ Network are expected to disseminate information about the Fund to appropriate audiences and garner support for the initiative. The Heartfile Leaders Network was launched at the House of Lords in London, on July 11 (follow here) and earlier at the Aspen Institute in Washington on June 11 can be followed here. The Sania Nishtar FUND is an integral part of the Heartfile Health Financing, an mHealth enabled social protection system, aimed at protecting poor patients from medical impoverishment. The Fund’s mandate is to raise funds for the initiative. The Fund was launched at an event hosted by the Rockefeller Foundation in New York on September 20, 2011 in the margins of the United Nations Summit on Non-Communicable Diseases (NCDs). The Heartfile Health FINANCING system is has many international partnerships, including the Clinton Global Initiative, the mHealth Alliance of the UN Foundation, and the World Economic Forum’s International Partnership for Innovative Healthcare Delivery (IPIHD). Join the Network – and raise the profile of an initiative which helps the poorest of the poor. 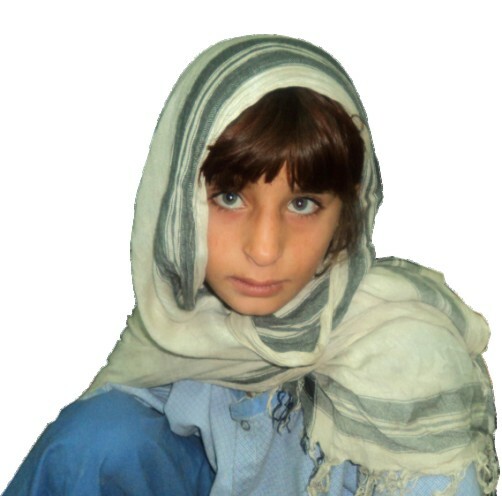 Shnea’s haunting eyes express pain and resilience; she is a common face of poverty and ill health. At 14, she has been diagnosed with a congenital cardiac defect and has travelled twice a very long distance in search of treatment. Her symptoms were shortness of breath, extreme tiredness, swelling in the ankles, feet, legs, abdomen and a build up of blood and fluid in the lungs. The abnormal channel in her heart can be closed for less than US$200. The devastated family knew they could never garner the astronomical amount the child’s surgery demanded. The burden of poverty and ill health hit the family hard. The objective of Heartfile Health Financing and the Sania Nishtar Fund is to actively seek such patients and to protect them from foregoing care, becoming indebted or being pushed into a medical poverty trap. There are millions like Shnea!